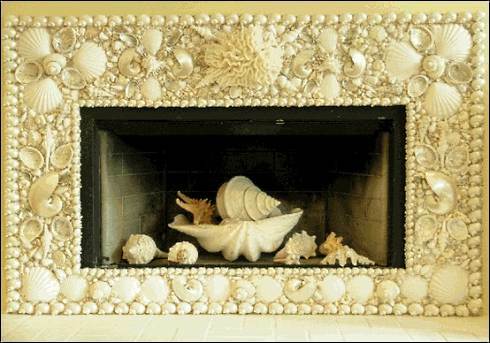 A Seashell Fireplace Surround Makes A Big Splash! 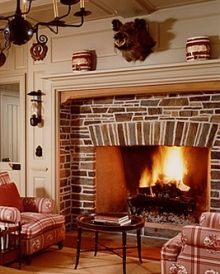 all composition -- as well as the firebox, itself -- is framed by delicate "pearl-like" shells to provide contrast and added visual appeal!
. 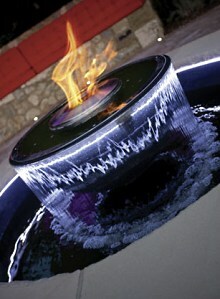 . . as is splashing or playing in the water. Swimming, snorkeling, and strolling are just a handful among a host of beach-related activites we associate with the summer season. Heather Kendall has cleverly turned her love of the beach into a thriving business. Traveling to a variety of shores, she combs the beaches in search of shells for her unique creations. 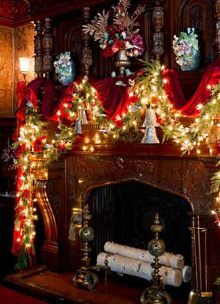 Get more exciting hearth designs and design ideas by subscribing to our free monthly e-newsletter. Simply enter your information in the form below and click on "Subscribe" so you won't miss out on a single future issue! You'll have access to all back issues, as well, when you subscribe! For More Information About Our Monthly e-Newsletter, Please Click Here. 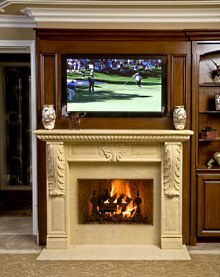 Please check back often or subscribe to our RSS feed, as we fre- quently add unique fireplace surrounds to our site. 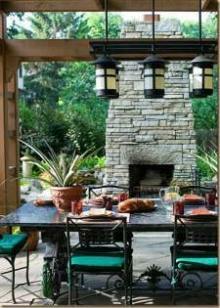 Your Back Yard or Patio!